This blog will just be kept for historical reasons. Blog này sẽ chỉ dùng cho mục đích lưu trữ. Kivy là một thư viện mã nguồn mở viết bằng Python để phát triển ứng dụng, đặc biệt là giao diện người dùng. 2. Kivy có thể chạy trên hệ điều hành nào? Kivy có thể chạy trên hầu hết các hệ điều hành hiện nay, từ Windows cho tới Linux mà Mac OS. Kivy còn có thể chạy trên Raspberry Pi. Tất nhiên là trên Raspberry Pi thì sẽ cài Windows hay Linux. 3. Ứng dụng viết bằng Kivy có thể chạy trên nền tảng nào? Kivy có tính đa nền tảng. Những ứng dụng viết bằng Kivy có thể chạy trên cả Windows, Linux, OS X tới Android hay iOS. 4. Kivy giúp chúng ta làm những gì? Với Kivy, chúng ta có thể làm game và rất nhiều ứng dụng tương tác khác. Đặc biệt là trong bối cảnh mà cảm ứng đa điểm ngày càng đóng vai trò quan trọng thì Kivy cũng hướng tới điều này. 5. Nói tóm lại thì Kivy có gì khác so với những thư viện/công cụ tương tự? – Kivy được viết bằng Python. Do đó nó rất nhanh và có độ chính xác cao. Ngoài Python thì Kivy cũng tự xây dựng ngôn ngữ riêng của mình là ngôn ngữ Kivy. Với ngôn ngữ Kivy thì chúng ta có thể tạo giao diện người dùng chỉ trong một số ít dòng code. Những luồng code rất rõ ràng và do đó cũng dễ để debug. – Ngoài ra có những phần của Kivy được viết bằng C và Cython. – Kivy có tính đa nền tảng, một điều rất cần thiết khi mà các thiết bị ngày nay ngày càng đa dạng trên nhiều nền tảng khác nhau. – Hơn cả, Kivy là miễn phí. Tuy vậy, đối với một số nhà phát triển Kivy thì nó là cuộc sống của họ. Vì thế nên Kivy chắc chắn sẽ đi theo thời gian rất lâu nữa. 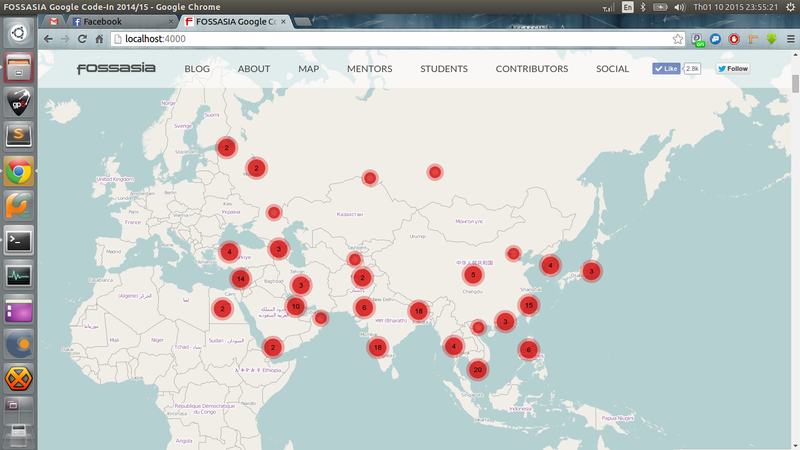 I’ve just set up loklak server locally on my Ubuntu 15.10 and harvested more than 1M tweets. That’s interesting. Problem: Given a random number in range [a, b] (inclusive). What is the maximum number of reasonable attempt the player has to make to get the number? Let’s start with a more familiar problem: You’ve lost your cow on a rectangular grassland. Assume that the cow is at a fixed position on the land. How would you look for your cow? Divide the land by 2, search for the 1st half. If the cow is there, I search no more. If it’s not, I will search in the 2nd half. But I will NOT search the whole 2nd half. and if it’s not, I will do the exactly same thing as I’ve done in the previous step. Each time you divide the range by 2, thus the number of attempts you’ve made is about log2(Range). More specific to say, the number of attempts equals to [log2(Range)] + 1 with [x] is the integral part of x. 2 ^ [log2(Range)] does not guarantee that you’ve searched all in the range. Since you cannot make “half of an attempt” or “quarter of an attempt”, you need to add 1 to your number of attempts. Of course, that is the answer to the worst case that you need to run to every corner of the land to find your cow. If you’re a bit lucky, you are likely to find your cow in even 3, 2 or just 1 attempt. To sum up, the maximum number of attempts you need to make to find a random number in range [a, b] is: [log2(b – a + 1)] + 1. In this tutorial, I will show you how to properly install Hugo on your machine. It will fix the issues of your installation and then install the package for you. You will be prompted to provide your password and everything will go in the right way. Those who use 64-bit Windows system should get hugo_0.15_windows_amd64.zip for installation. If you have any problems during the installation, feel free to leave a comment in this post and I will answer as soon as possible. In this post, I’m gonna show you how to use Github Pages to run your Hugo blog. 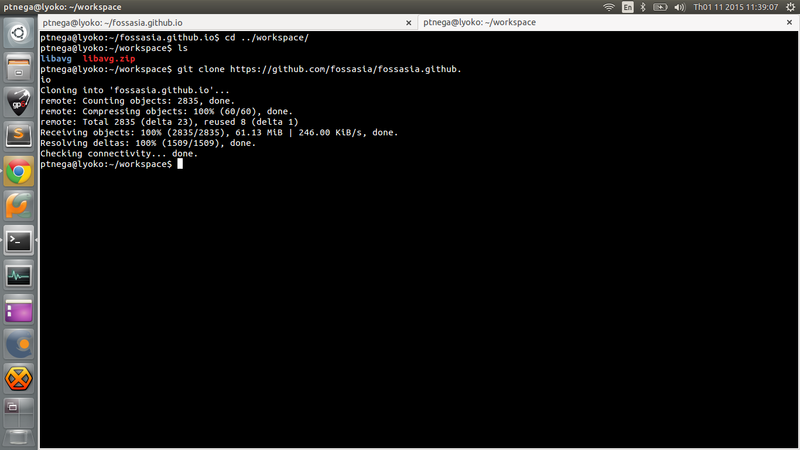 Assume that you have successfully built your blog locally and push the source to a repository on Github. Now I will guide you step by step to build your site on Github Pages. In the config.toml file, there is an option called “baseurl”. In this post, we need to use it to run our site properly. Now, it’s easy to build your site to a specific directory. This directory contains all the file you need to push to your repository to run your blog. Now you’re switched to gh-pages branch. Simply copy all the file from public/ folder in the previous step to your working directory (which is now in gh-pages branch). For your convenience, you can clean up the branch before copying neccessary files. 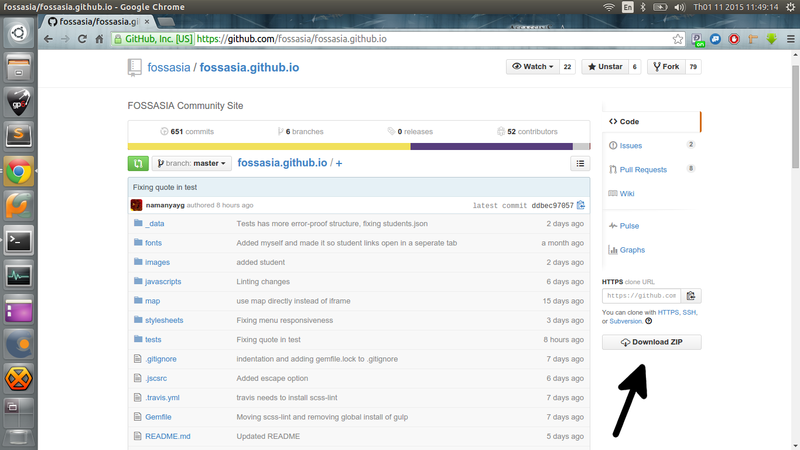 Now, everything is ready to be push to your repository. If you encounter any problem during the deploying process, feel free to leave a comment here and I will answer your question. Today I’m gonna show you how to create a simple blog using Hugo. Let’s go right into the tutorial! Categories: You can put this post to any categories you like by adding the name of the categories to this array. Description: You can briefly describe your post here. title: The title of your blog. Change it to what you like. Hi! I’m ptnega from Vietnam. I’m 17 and this is my last GCI. Now you have another folder named themes/hugo-uno. This is where your themes stored. We’re almost done. 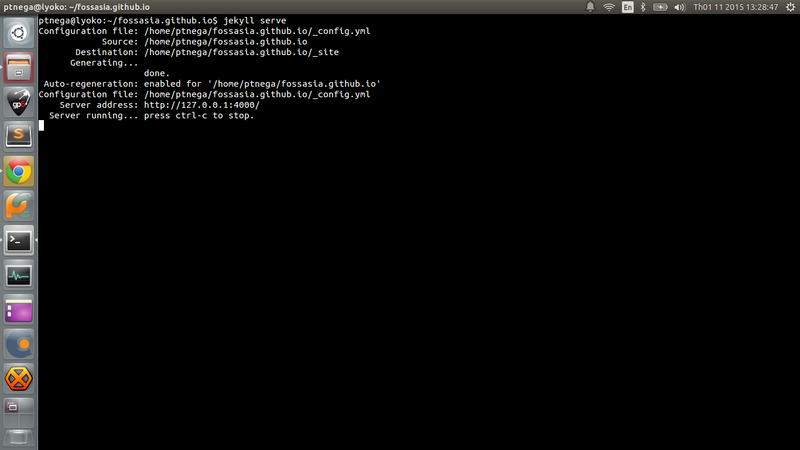 Now let’s config this file to make sure everything will be in the right way. [Params] is the parameters of the theme you installed. You will find the patterns for the params and other configuration of the theme is its folder above, in the README.MD file or the example site provided along with the theme. Hugo is extremely fast to run static blog and it provides users with many other convenient features. In my future posts, I will introduce some other features of Hugo that may be helpful to users. 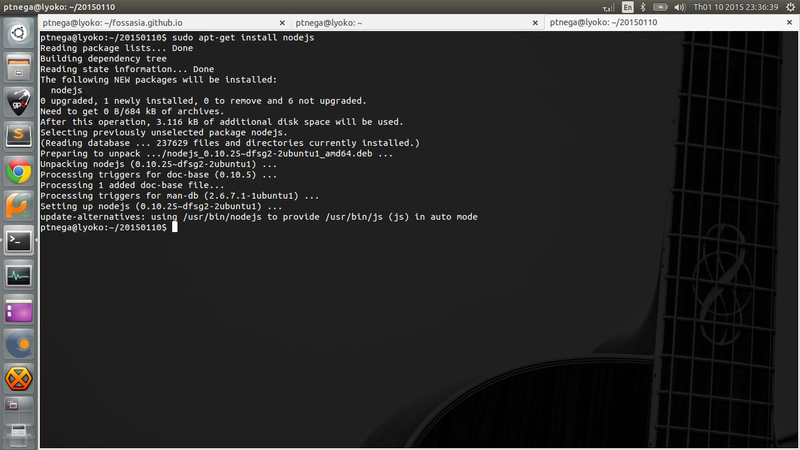 In this post, I will show you different ways of installing Wine on Ubuntu, and in my tutorial, I’m using Ubuntu 15.10. 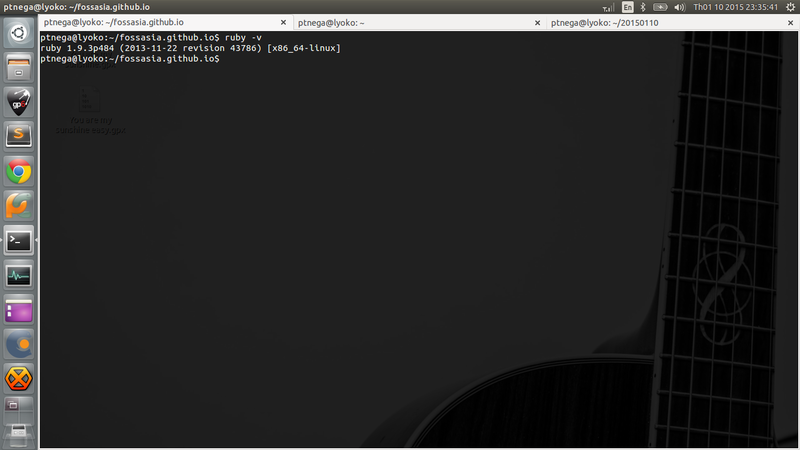 You can change the “wine” parameter in the command above to “wine1.4” or “wine1.6”. It depends on which version of Wine you want to install. By default, just leave it “wine” and hit [Enter]. You will then be asked to provide your password, just type it (it is not visible) and hit [Enter] one more time to start the installation. Click on the Install button as shown in the picture above. Then, you’ll be asked to provide your password. Type in in the box and hit [Enter] to start the installation. There are two main steps to install Wine in this way. I’ll guide you through them. You will be asked for your password and your confirmation of adding the repository. Type your password and hit [Enter] to continue. Click Add Source and close the window. You will be prompted to update the APT package information. Now, you’ve done adding the PPA repository. Let’s move on to the next step. Notice the differences? We now have even more options than before. Here we’ve got the newest version – wine1.8. And this means that using a PPA Repository provides you the lastest version of Wine. The first time you run Wine, you will be asked to install Wine-mono and Wine-gecko. Just click Install and everything will be okay. Hope you find my tutorial useful. If you encounter any problems during the installation, let me know in the comments. It’s been a long time since I last posted on my blog. 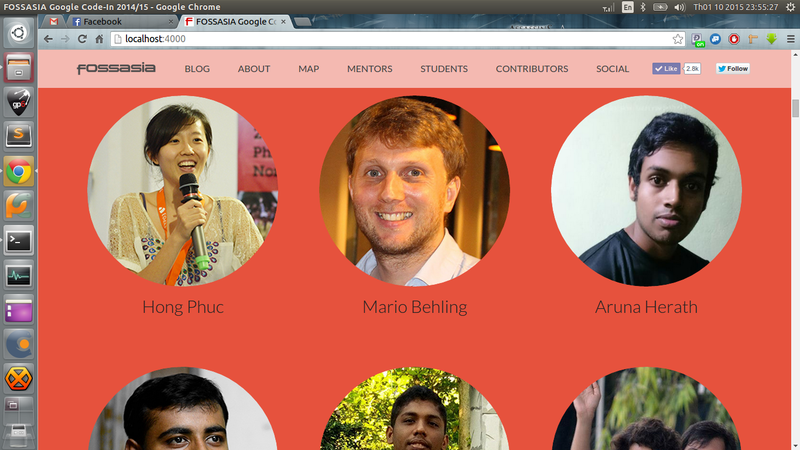 I’m so excited because I’ve just completed my very first task in GCI 2015 and appeared on FOSSASIA GCI15 site. I’ll do my best in GCI15. Thank you so much. 1. Jekyll data files of the site. 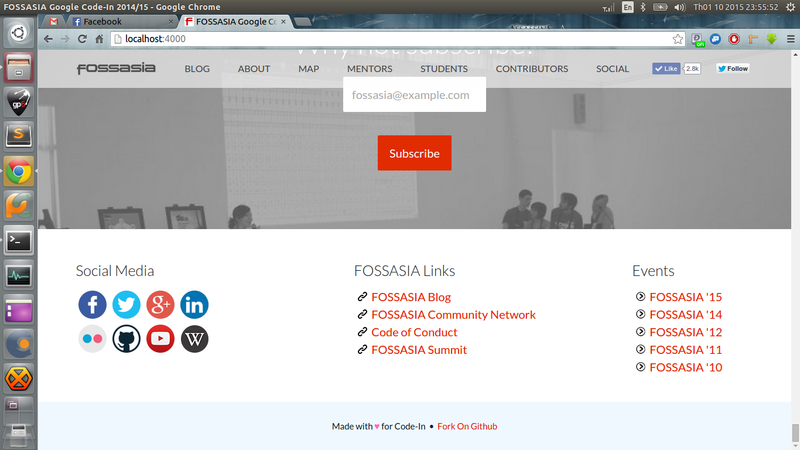 You can find it in its github repository. 1. How to get Jekyll data files of the site? There are two ways to get the repository on your computer. Extract the zip file and you will have the data you need. You had your data files. Let’s setup Jekyll! 2. How to setup Jekyll? 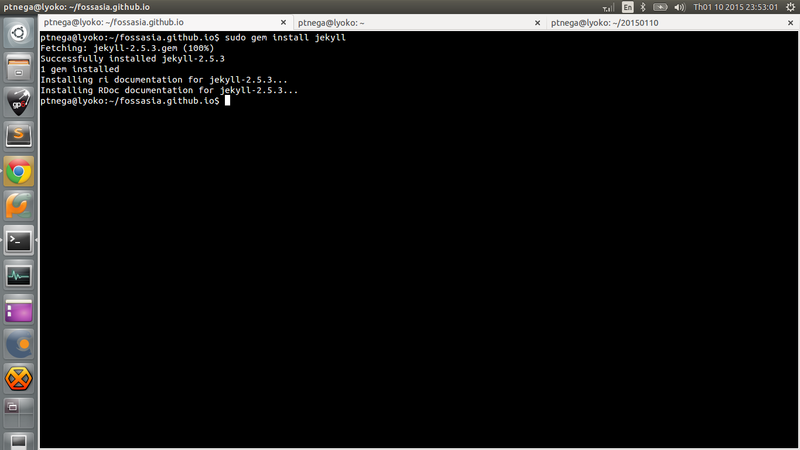 Last but not least: Linux, or Mac OS X. I’m using Ubuntu 14.04 LTS. Actually, I had installed jekyll before working on this task. So I had to remove all the requirements, and uninstall jekyll to get those screenshots 😀 Absent-minded… As I said, I had problem with ruby when install Jekyll using ‘gem’. 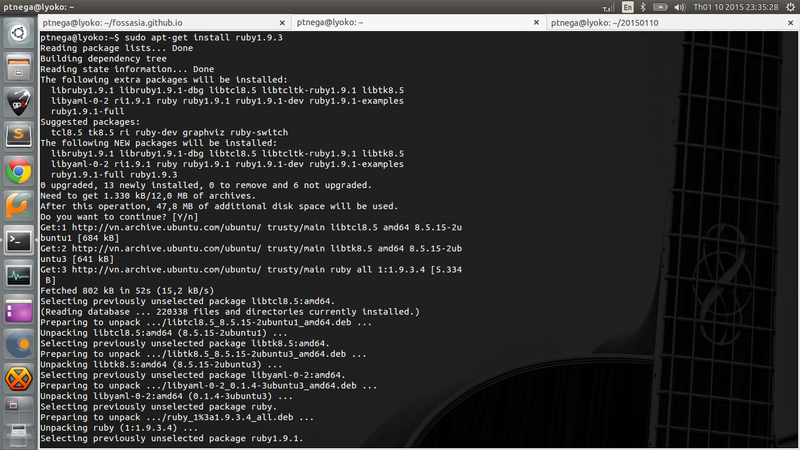 You need ruby with version >= 1.9.2 to go through the installation. I’m sorry for not having the screenshot of that error here. Let’s get to the next step. I had no trouble in installing nodejs. 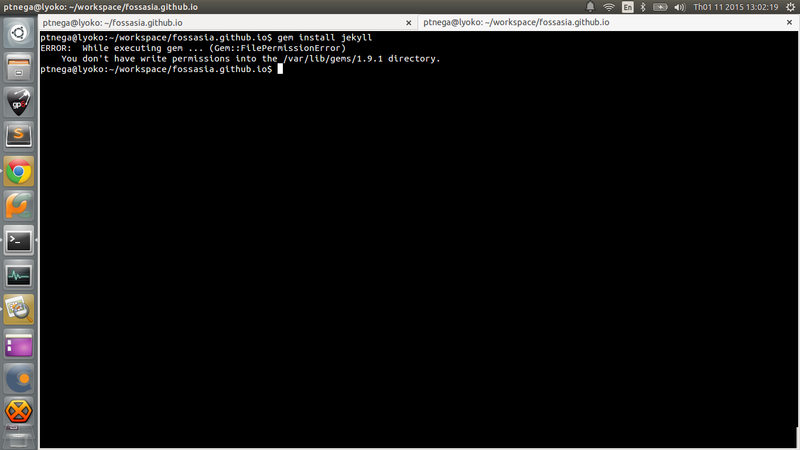 You don’t have write permissions into the /var/lib/gems/1.9.1 directory. Another look at that error. 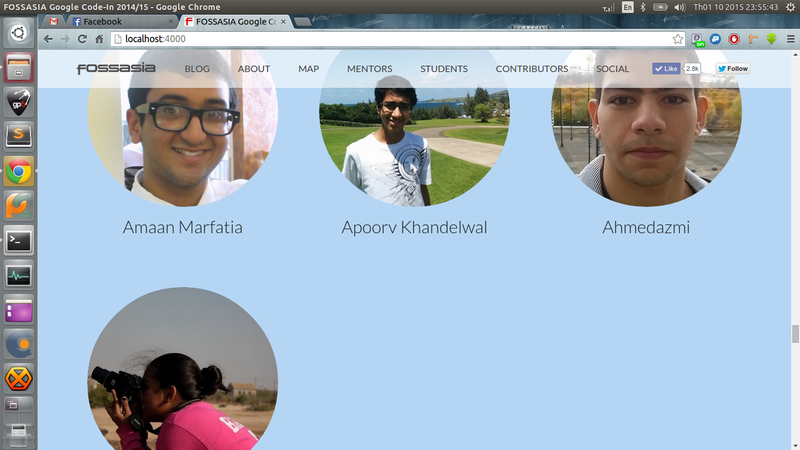 As I said before, I met problem with ruby version but don’t have screenshot here. I found it’s strange that the command requires permissions for /var/lib/gems/1.9.1 directory, but I get error for not having ruby1.9.3 (!?) I think I need some more comments from other users. 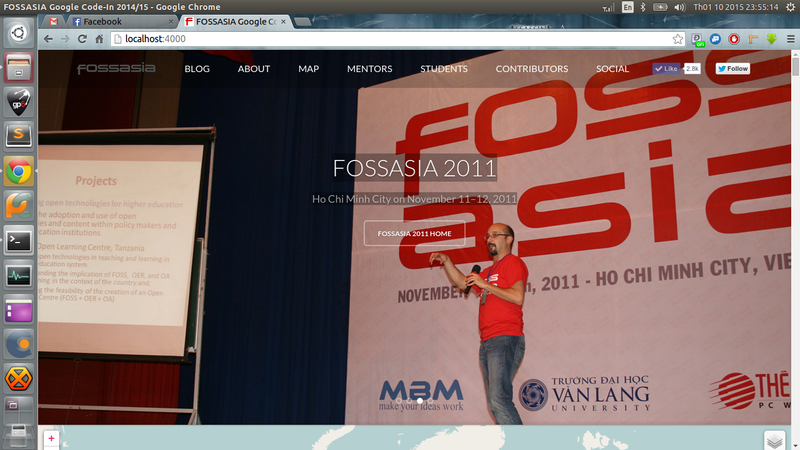 How I run fossasia.github.io locally on my machine? 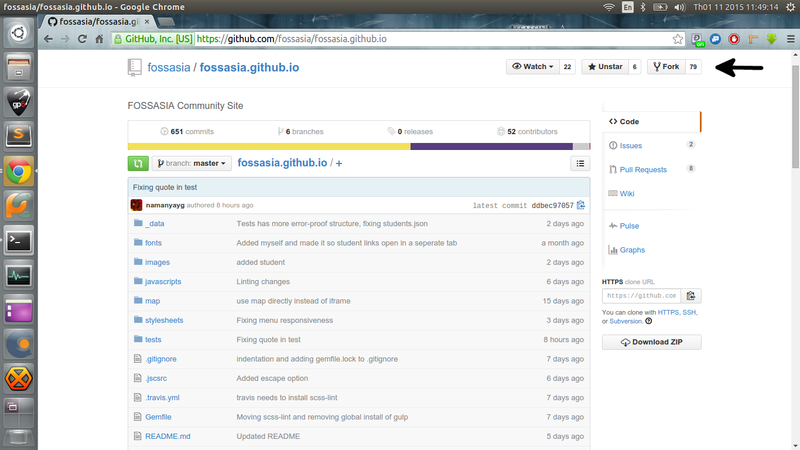 – Go into the fossasia.github.io folder you cloned or extracted in the 1st step. – It’s simple to run the website with HTML files. – No database, just static parts loaded. So, more security. – Easier to contribute to the website. You can make changes on your own repo, run for a test, and ask the owner of the site for changes. – Using markdown, so easy to change things. And… sorry for my bad English.